Making a birthday card in Auschwitz was all of those things. But that is what Zlatka did, in 1944, for her best friend, Fania. She stole and bartered for paper and scissors, secretly creating an origami heart. Then she passed it to every girl at the work tables to sign with their hopes and wishes for happiness, for love, and most of all—for freedom. Fania knew what that heart meant, for herself and all the other girls. And she kept it hidden, through the bitter days in the camp and through the death marches. She kept it always. This novel is based on the true story of Fania and Zlatka, the story of the bond that helped them both to hope for the best in the face of the worst. Their heart is one of the few objects created in Auschwitz, and can be seen today in the Montreal Holocaust Memorial Centre. closing out the rest of the world. with no houses in which to live. assigned to share our home. crammed in a three-room house. even Mama and Tata’s wedding bands. even that was taken away. 1. Write a card to a friend to tell them how much they mean to you. 2. Write down what you already know about Auschwitz and the Holocaust. What do you know about daily life in the camps? 3. Look up the word “dehumanization.” What does it mean to dehumanize people? What problems does it cause? 1. Using ghettos and concentration camps, the Nazis intended to destroy their prisoners’ humanity. How did the inmates of Auschwitz fight back? 2. Fania’s paper heart was real, and it is now displayed by the Montreal Holocaust Memorial Centre. It is one of the only artifacts purposefully created by prisoners at Auschwitz. What is so significant about the heart? What can we learn from it? 3. Why did Zlatka and her friends decide to make the heart for Fania? What were they risking by doing so? 4. Paper Hearts was deemed a “story about brave young women who refused to be victims and walked out of Auschwitz with their heads unbowed” by School Library Journal. How were Zlatka and Fania brave? 5. Zlatka tells Fania “your kindness makes me brave.” What does it mean to be kind in Auschwitz? Would it have been better for Fania to protect herself rather than look after Zlatka? 6. Do you think birthdays matter in a place like Auschwitz? Why or why not? 7. Fania and Zlatka quietly resisted the Nazis in ways beyond the creation of the heart. What were these displays of resistance, and how did they allow the girls to preserve their dignity? 8. People resisted the Nazis in different ways. Mrs. Grosman, Mala Zimetbaum, Ala Gertner, Estusia Wajcblum, and Roza Robota were all resistors. What did they do? How are their forms of resistance different? How are they similar? 9. Zlatka bartered for a purple blouse from the Kanada. Why did she risk everything for it? What did “feeling pretty again” signify to her? When she was caught, why do you think the Kapo didn’t punish her? 10. Meister Eberhart helped the girls at the Weichsel Union Metallwerke and gave Fania a bit of cheese. What was he risking in aiding the girls? Could he have done more? 11. In Paper Hearts, Fania is trying to pass as Aryan but is called out by a young boy for being Jewish. He was only a young child, yet he caused Fania’s arrest. Is he guilty of her imprisonment? How about the rest of the crowd, who would not let Fania pass? The policeman and the German soldier who detained Fania? Who bears responsibility and guilt for the injustices of the Holocaust? 12. Prisoners at Auschwitz were separated into different groups and forced to wear triangles representing their classification. Zlatka says “yellow triangles were considered worse than others.” Why did the prisoners harass one another rather than join together in solidarity? 13. Fania hates the Sonderkommando and the women who play in the orchestra because she sees them as betraying their people to work for the Nazis. Were these prisoners collaborators? Did they have a choice to work/perform for the Nazis? How does Fania see them differently than she sees Mala Zimetbaum? How does Fania’s opinion of them change, and why do you think it changes? 14. Mala and her boyfriend Edek Galinski escaped from Auschwitz, though they were recaptured. Before she could be hanged, Mala slit her wrists with a razor blade to die on her own terms. What does it mean to die on her own terms? How can death be an act of defiance? 1. This book is a work of fiction inspired by a true story, as detailed in the “What is True” section. Pick one of the characters and do further research on them. Who do you find to be the most interesting? 2. In the aftermath of World War II, the allied powers held war crime trials to bring Nazis to justice. Since 1945, high-ranking Nazis such as Herman Goring, Rudolf Hoss, and Adolf Eichmann have been tried. But war crime trials are still being held today. Who should be prosecuted for participating in the Holocaust today? What does “justice” mean seventy years after the fact? 3. Auschwitz was not the only concentration camp, though it is the most notorious. Each camp had its own heroes among the inmates, its own people who showed unique bravery in the face of death and dehumanization. Look up information on the other camps and their inmates. Then write a few paragraphs about the courage some of the inmates displayed. 4. The website for the Montreal Holocaust Memorial Centre has more images of the heart, as well as hearts other people have made in response to Zlatka’s gift. Make your own heart, and think about the messages you would write: Are they messages of freedom, encouragement, or bravery? Think about what Fania’s heart meant to her. How would you convey that kind of sentiment? 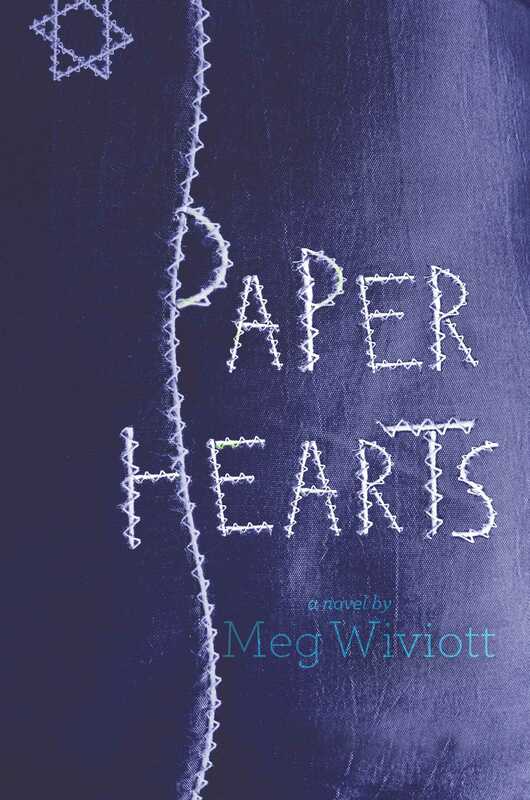 Meg Wiviott is the author of Paper Hearts, which was a YALSA Best Book of the Year, a BFYA pick, and an Amelia Bloomer Pick. She is also the author of the award-winning picture book Benno and the Night of Broken Glass. She was a history major at the University of Wisconsin - Madison, earned a Master’s in Education from Northwestern University, and graduated with an MFA in Writing for Children and Young Adults from The Vermont College of Fine Arts. She lives in New Jersey with her husband and a ridiculously friendly cat. They have two grown children. Visit her online at MegWiviott.com. "A beautifully told true story about brave young womenwho refused to be victims and walked out of Auschwitz with their heads unbowed.A strong addition to all YA collections." "An incredible story, told with respect and love, this deserves a wide readership. Just have the tissue box handy."